If I have my history right, the Nazi's "Final Solution" (to the "Jewish question") began in 1939 when Jews actually began to be rounded up. It would seem we are in late 1938 at this point. As a friend mentioned recently however, perhaps the Lord is using this new persecution of Jews to move many more back to Israel. -W.E. “But there is not a single protest or speech which can cover up the bitter truth: The Western European countries’ security services in general – and France’s security services in particular – are not prepared in any way for dealing with the radical Islamic terror. Not professionally, not legally and definitely not mentally…Suddenly it turns out that all those red lights which should have been triggered several years ago, when the Islamic terror killed Jews, did not even flash for a second. 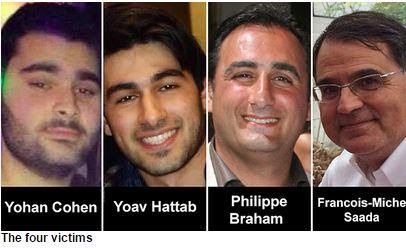 The French security services insisted on not touching the Islamic terror, professionally and fundamentally.